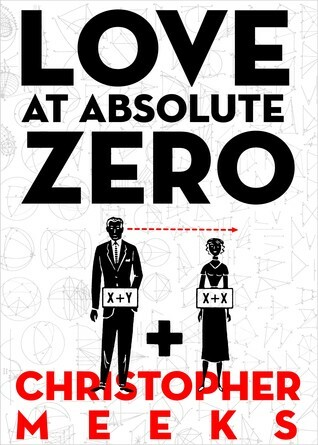 Love at Absolute Zero” is the story of Gunnar Gunderson, a 32-year-old physicist at the University of Wisconsin. The moment he’s given tenure at the university, he can only think of finding a wife, causing his research to falter. With his two partners, Gunnar is in a race against MIT to create new forms of matter called Bose-Einstein condensates, which exist only near absolute zero. To meet his soul mate within three days–that’s what he wants and the time he can carve out–he and his team are using the scientific method, to riotous results. He was the most fun to read character I’ve met in a long while; he’s real, he’s got like-wise amusing friends, and they have that cute, male-thing attitude towards situations: “We can solve this. I have an answer to this. We will resolve this situation.” Real cute when they go action-man, right? Well the guys identify the issue, think about it, find solutions, and then get right down to applying them. I had the most fun all summer reading about their problem-solving bright ideas. All their carefully planned and thought out solutions bring them, invariably, laughs and more problems, really. Of course, all things find their resolve through the commonly known method of chaos and random events, and well, love. The rest of the characters are really funny, especially Gunnar’s colleagues. The women in Gunnar’s life are…uhm, memorable, shall we say. I felt like giving them a cookie or throttling them (especially Kara), and I felt a strange sense of personal success when he finally found what he was looking for. Well, at least I hope he did. The ending is sort of open on that, so I can imagine him and his woman being as happy as I choose to. Which is a really good thing. The plot itself was a fun ride, with ups and downs, and honestly I had no idea where we were going. I mean, there wasn’t really any predictable point, and I loved reading the book because of that. I also loved reading it because Christopher Meeks‘s writing is basically awesome, it’s got a lot of humor, and a beautiful rhythm. What could have been sort of bleh was the physics; I wasn’t a fan of science in high-school, though nowadays if you ever catch me watching TV, it’s either Discovery Science, ID, World or the likes. But it wasn’t in any way pestering, the scientific bits made sense, and were sort of few and in-between. I mean, I’m not sure, but I think I would have loved Gunnar just as much if he’d been a flamenco teacher. Maybe slightly less, I’m not a real fan of dancers for some reason. To make a long story short, you really should read this book. It’s fun, it’s light, it’s good. I loved it. Did you?